DNAMatch4iPad has extensive help built directly into it. At the bottom tool bar of the different views available in DNAMatch4ipad there is a help button with detailed information on how to use the view. You can also view those help files here. For a brief overview of what DNAMatch4iPad does and how to use it, read this help file. Read this help file to learn how to import CSV files using the Safari browser or email. Learn how to set attributes of persons that have been added to your project with this help file. 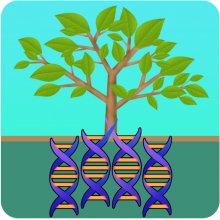 Learn how to add surnames, close relatives, haplogroup types and other information about a person. Lean how to add surnmaes to you project witht the Surnames tool in this help file. The Match Search Criteria view allows you to set the filters for determining the results returned for the Match Tool. Search criteria such as chromosomes, min cM, surnames, etc. can be set in the Match Search Criteria view. Read about setting search criteria in this help file. The match view is the heart of DNAMatch4ipad. The match view allows you to data mine the data that has been imported into your projects. Read about the Match View here. DNAMatch4iPad supports multipe projects. Learn how to create, delete and select projects from your iPad with this help file.